Microsoft has released a test version of its new Silverlight online media platform at Microsoft’s MIX 07 conference for web developers and designers lately. Silverlight is a cross-browser and cross-platform plug-in that was created to fight Adobe’s dominant Flash player. Besides Silverlight, a companion service for Silverlight will also be introduced and offered by Microsoft in boosting the popularity of Silverlight. 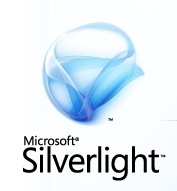 Silverlight is absolutely free for all supported platforms. As its marketing strategy, Microsoft also announced that the company will open up its database infrastructure to web developers who want to store their video on Microsoft’s servers and storage systems. Storage up to 4GB for video will be given to web developers. Microsoft also announced the launching of its Microsoft Expression Studio, a suite of graphic design and animation tool software that allows designers to create applications for both the web and Windows Operating System. Do you think Expression Studio and Silverlight will bring a strong challenge to Adobe, which has dominated the graphics and designs tools software market with its Creative Studios line and Flash Player?